Homepage layout of the Flex theme is fully widgetized. You can add variety of content in various widget areas to create a unique homepage look. 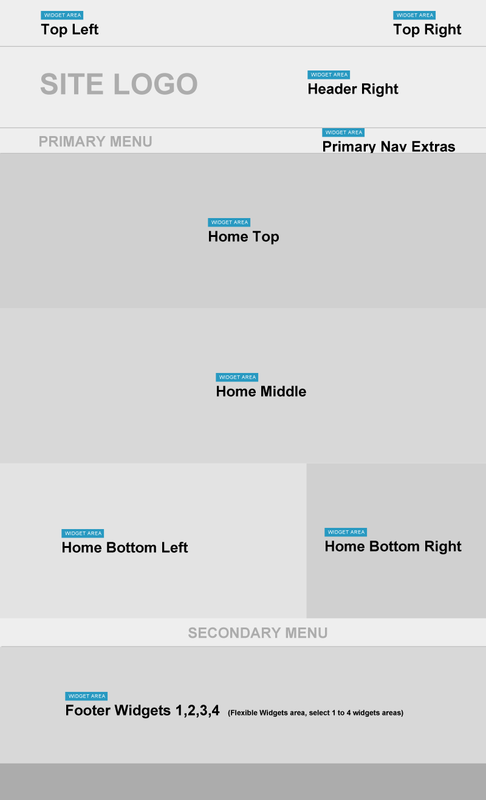 Image below shows the basic positioning of different widget areas on the homepage. Note: If you do not add any widget to homepage widget areas (home top, home middle, home bottom left and home bottom right), then homepage layout will switch automatically to the blog layout. You can configure blog layout settings from the “Content Archive” option found at Genesis > Theme Settings in the WordPress Dashboard. Note: You can also set a static page as the homepage by going to Settings > Reading option in the WordPress Dashboard. Make sure these widgets ((home top, home middle, home bottom left and home bottom right) are empty for this to work.